Hey! Selfie girl, you are getting married with your dream heaven angle of fairy land, who some years ago landed in your heart and built his house there where you had him on rent but now he is going to be your permanent roommate for life. That’s good and best story of your life and in just a few days you are going to be of each other. But before that there are wedding preparations. Don’t worry your friends, family, friends and, of course, wedding planners is there for handling everything. For you the only most important thing is your wedding photography. Oh…! you think why photographers need to know the exact gathering size of your wedding? Because if you want him to shoot perfectly and capture your round and around moments, then you need to tell him the gathering size of your wedding. According to that he can know how many members he needs to bring in his team. Your wedding gathering decides about the team strength of photographers. Suppose that if there are only 50 guests going to be in your wedding, then it is okay to have one but if there are 1000 guests going to be the wedding, then one photographer is not going to work. He cannot shoot the entire wedding. Whether he shoots you or the guests or surroundings? There should be at least 3 or 4 photographers in 1000 guests gathering. One for shooting bride side, second for groom side, third for guests’ side. If gathering is very large, then you can have 2 photographers for guests’ side. Then it is all perfect. There is going to be special shots of you both. So the advice is, don’t put extra highlighter on your face. Though you definitely look beautiful but your photographs don’t come good because in flash light your face will look oily. Whenever any special shot is being taken, recheck your makeup. Keep any makeup assistant near you who can recheck your makeup and if they are not available, keep your cousin sis near you who can help. Hence always give importance to wedding photography and check makeup before giving any important shot. You should not look rigid during your photography. should not have tight facial features. When your photographers are taking you shots, before that be relax, natural. Calmness and sereneness should flow through you at that time and of course a beautiful smile. Baby, just don’t slouch. If you do so, your snaps are going to get ruined. Chin up and according to pose as you photographer tells you. On wedding day, brides get tired because here and there are ceremonies to perform. Some take you here, some take you there. On the wedding day they are totally exhausted. So it could be that during photography you are tired, feeling fatigued but if you do so, your photographs would be look worthy. To get rid of exhaustions, drink orange juice or take bites and get ready for photo shoot. You should not look like a brother and a sister while posing. Show little intimacy, do it your own way as you feel comfortable before your photographer. 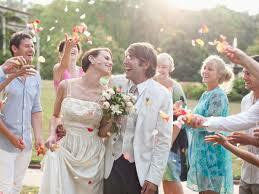 In your photographs love must be there and you should enjoy your wedding shoot. The more natural you enjoy each other, the more natural your photographs will be. Though your photographer instructs you how you should pose but don’t always look towards the camera. You don’t need to get into the lenses! Be natural in posing, get into the attitude and flaunt it. This is the trick. It is important, very much important. Without it photographs look dull. It is your photographer’s work. If shooting is in any indoor location or setting, lighting should be proper. Otherwise your photos look like of ghosts! 8 : Did you discuss with photographer: if you think that you are creative and can give ideas about certain shots that you want these and how you want these, discuss all your creativity with photographer. It could be that you have certain shot of a movie in your mind that you want in your wedding. So tell your photographer how you want any particular shot. Don’t be rookie! Look into each others’ eyes rather looking and thinking about world benign around you, who is just fine standing there enjoying your photo shoot. Means you should look into each other eyes while photography. Love should flow from every side. This way your all snaps will be good and lovely. Often in nervousness, sometimes it happens that bride and groom forget to smile. Smile is what adds charm to your wedding photography. So smile naturally but don’t try to fake it. With props photos can look good but there should be only those props with which you are comfortable with or can relate to. They can be from the hobbies you like or things you like. So use props that connect you in any way. Hence above are those mistakes that brides and grooms often make during photography. If you work on these, your snaps will look like real memories. It will feel like when you see them in future, you are getting into them remembering and cherishing the moments that you spent. But one thing you also need to remember that you need to hire an experienced, professional and creative photographer. There are a good number of best wedding photographers in Jaipur that you can hire for wedding photography.